A Supreme Court reference filed against Prime Minister Peter O'Neill regarding polling on a Sunday has been withdrawn. Stanley Liria who was also a candidate in the election of the Ialibu-Pangia Open seat, withdrew the case at the Supreme Court in Waigani through his lawyer yesterday. Top among reasons for the withdrawal was that, continuation of the case could result in further violence in Southern Highlands province. 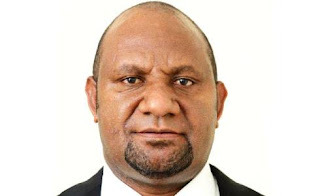 Another candidate, who had questioned in court, why the election for the Southern Highlands Provincial seat was not failed, had also withdrawn his case, citing similar reasons. Daniel Tulapi was among candidates contesting the provincial seat. He's called on his people and supporters to accept his decision, to help return normalcy to the province, especially in the capital, Mendi.